From OS/2 Warp to the dotcom bubble, revolutions come and go. We're willing to bet, though, that virtualisation isn't just a flash in the pan. It's a real revolution that's already changing – and will continue to change – the world of computing for good. That means that, unlike some of the concepts that flourish for a while but then disappear from view, we all need to know about it. Although it's a term you've doubtless heard, a concept you may have grappled with and maybe even a technology you've toyed with in-depth, there's always more to learn. As you read on, we'll give your knowledge of this burgeoning technology an essential boost. If you're looking for a simple description, virtualisation is a means of creating software versions of physical hardware components. Despite being the hot topic on the tech cognoscenti's lips, virtualisation encompasses a wide range of techniques that seem like they've been around forever. Even partitioning your disk can be seen as a kind of virtualisation, as can emulators such as DOSBox, which enable users to enjoy old classics like Wolfenstein 3D on their ultra-modern kit. Similarly, programmers have been enjoying the fruits of virtualisation since the 1990s with development tools like QEMU and Bochs, which allow developers to test and debug their code on emulated architectures. Virtualisation isn't just about programming and old-school gaming: it can also save you cash. Let's take an example. Suppose you want to run an old Windows app that's no longer maintained and will only run on Windows 95. Dedicating a whole machine to running that app is a waste of time, hardware and money. This is where virtualisation tools specialising in a particular environment come into play. Apps like Win4Lin or Win4Solaris will let you run Windows inside a virtual machine on a Linux or a Solaris box, saving you having to buy hardware and an OS. It's not just about Windows apps, though. Virtualisation is driving plenty of convergence between different hardware standards. Virtualisation applications create virtual platforms and hardware that will run on all your physical machines, irrespective of the operating system. Parallels and VMware both have competing desktop virtualisation tools available for Windows, Linux and Mac users. The time when virtualisation was an esoteric technology of interest only to corporations' IT departments or die-hard techno-geeks is over. The hardware created by virtualisation apps might be virtual for you, but to the OS (and, more importantly, software vendors), the virtual machines – VMs – are as real as the physical host that's powering them. If you're planning to run a proprietary OS or a proprietary app inside the machine, you'll still have to get a licence. Some OSes and programs, especially those designed for servers, will let you run a fixed number of virtual instances of the app, and some will prohibit you from running any. Before deciding on a proprietary OS or app for your VM, make sure you read the fine print. One of the reasons for virtualisation becoming so pervasive is its low cost of entry. Freeware and open-source options such as VirtualBox, Qemu and Xen compete head-to-head with proprietary tools. Taking the free option doesn't always mean compromising on quality. VirtualBox is owned by Sun, which has recently been taken over by Oracle, the second largest software company in the world. Even Microsoft has a free virtualisation product for Windows called VirtualPC. Depending on your needs, these tools might cover all the bases. One key benefit of virtualisation is its ability to consolidate hardware. Cutting down on the number of computers you've got in your setup does require some serious planning, though. The easiest and most popular way to reduce your hardware outlay is to use VMs to replace low-powered, behind-the-scenes hardware such as routers and firewalls. The good thing is that you don't need a lot of juice on the physical machine to power VMs that will replace these devices, as they're just running a handful of services and can be remotely managed. Replacing machines running more demanding applications will be much trickier. Test before you buy When you mix a VM with real software you get a virtual appliance. Thanks to the ease of packaging and distribution, there's no shortage of specialised apps (for running firewalls, routers and the like) available as virtual appliances. These days, many software vendors make their apps into virtual appliances to enable prospective users to explore apps and OSes. The best place to hunt for virtual appliances is VMware's Virtual Appliance Marketplace. The website stocks freely available appliances as well as those that bundle proprietary apps or are certified for enterprise deployments that you have to pay for. You can also create your own appliances with rPath. Once you're used to the flexibility provided by VMs, you'll also appreciate the fact that you can migrate VMs from one physical machine to another running a totally different OS. 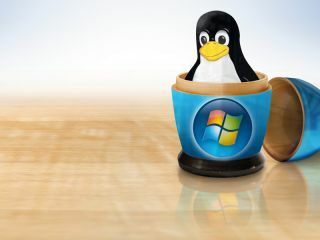 For example, you could migrate a Solaris VM from a single-core physical host machine running Windows to a dual-core box running Linux as the host OS. Current page: What is virtualisation?